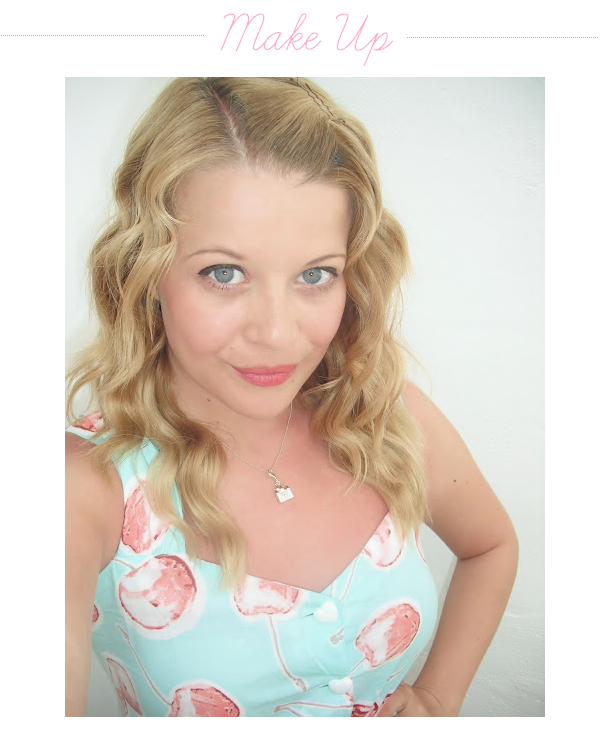 This blog post is my entry for the Beauty and the Beach photo blogging competition! It’s a competition run by Travel Supermarket especially for beauty bloggers, for them to show their best holiday hair, make up, and nails! I know it’s almost the end of September, but keep your fingers crossed for a warm Autumn! This is my favourite holiday make up look. I took this photo in June this year, when I was on holiday in Malaga, Spain with my parents. I wore this look in the evening when we went out for dinner. I’m not one of these people that says that women shouldn’t wear make up on holiday or to the pool or beach. However, I do like to tone my make up down a little, and make it waterproof. No one likes panda eyes! In this look, I’m wearing Rimmel Wake Me Up liquid foundation which is quite a sheer foundation, so it looks very natural, and it has a slight shimmer to it. I then dusted some powder over the top and added a little blusher. For my eyes, I used Soap and Glory Supercat eyeliner pen on my top lid to give a glam evening look, and then used Miss Sportys Waterproof mascara, which is the best waterproof mascara I have found and it’s only around £3! The lipstick I wore is MAC in Lustre Cockney, which I think looks great for a summers evening. 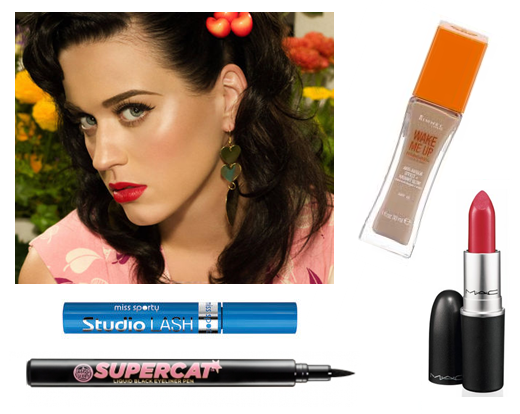 The look is very Katy Perry, with the 50’s style eyeliner, and I just love her (hense the cherry print dress)! I like this holiday make up look because it looks good without being over the top. By using only a small amount of foundation, it allows the natural sunshine glow to show, and not using too much dark eye make up makes eyes appear bigger and more natural. These are my favourite holiday nails! Pink is my favourite colour, and always my go-to shade for holidays, as I can feel a little silly with girlie pink nails at home, or at work! When I’m on holiday I feel that I can experiment a little more with make up and nail looks, and even fashion. You wouldn’t see me walking around London in a bralet and short shorts, but Majorca.. no problem! It’s always fun to try out new looks on holiday, so I like to take a few different nail varnishes with me so I can create a different nail look everyday if I wanted! 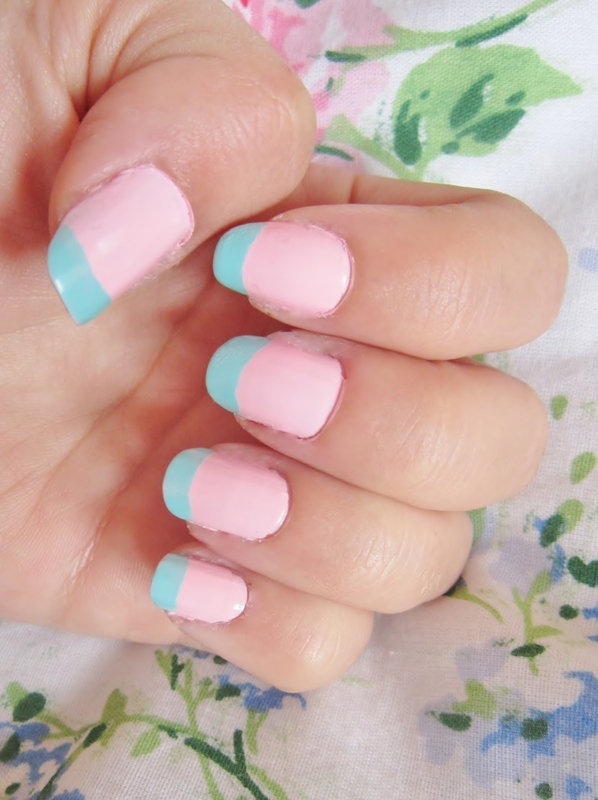 The nails in the photo above are done using Ciate Strawberry Milkshake and Pepperminty. The pink is a little bit of fun, and the deep turquoise colour always makes me think of holidays and the sea, so I think it’s a great combination for going away! It’s a bit difficult to do the nail tips carefully and make them straight though, but no one minds.. you’re on holiday! This year, nail experts Essie brought out a great summer nail polish range for 2012! I love the blue and green shades! Perfect for holidays! I don’t like this photo of me, but I do like how my hair used to be! I used to be able to do nothing to it, and it would just go into these beachy waves and look textured and volumised. Now my hair is just flat and boring.. boo. This was a few years ago, in 2009 on my holiday to Corfu with my boyfriend. Although my hair was a horrid shade of yellow (and too much eyeliner!) I am very envious of how my hair used to be very easy to style. I think years of hair dye has left my hair a little bit limp and lifeless! I remember to create this look, I would simply wash and condition my hair as usual, then scrunch up the waves using a towel, and leave it to dry naturally. Sometimes I would add a little bit of mousse to make the waves hold. But it was so simple! A completely effortless look, perfect for the beach! I love Blake Livelys hair in the photo above, and also her make up! It looks so beachy and perfect for a summer holiday. Jealous! What are your summer beauty tips? Do you wear make up on holiday? Would you like to follow me back!? I think you should definitely win this comp Vikki!